At any given time of the year, somewhere on the continent, there will be another exhibition taking place of the paintings or prints of Edvard Munch. These regular airings of works both familiar and overlooked by the Nordic high priest of existential anxiety are often located in Germany, where from the early 1890s Munch’s revolutionary painterly technique instilled with an endemic morbid sensibility, was acclaimed through a series of exhibitions, which, either through scandal or reverence, served to establish his reputation in Europe. Munch spent much of his working life shuttling across the continent between exhibitions, or to meet patrons and dealers, primarily in Berlin and Paris. In Norway he was not properly recognised or elevated to his current iconic status as national artist figurehead until much later. During the first decades of the twentieth century, in Germany and Austria, the so-called Expressionist generation would revere Munch alongside Van Gogh as a seminal father figure. But today France, Switzerland, Belgium, Holland and many other countries also feel compelled to show Munch’s works on a seemingly regular basis, such is that sense of belonging to a shared empathy as regards the difficulties of mortality that people of any era recognise are treated with uninhibited probity in Munch’s oeuvre. Furthermore, this giant of modern art seems robustly present; a visceral human force runs like a system of veins at the very surface of his art, imbuing it with an audacious expressivity, a blood rush of urgency and an uncompromising stance few others can muster. This visionary power is further enhanced by the fact that it incorporates the lyrical and romantic rather than merely the apocalyptic and alienating. 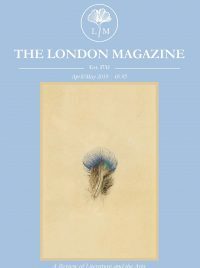 Munch is an artist wholly, almost pathologically concerned with the spectacular catastrophe of being human and having consciousness, the frailty and fragmentation of relationships, the omniscience of death, the repetitive lusts and self torture of attraction, all the necessary injustices consequent and necessary to being fully alive. Everywhere Munch is trowelling more onto his extant ‘frieze of life’ and few of his paintings are devoid of explicit or implicit human concerns. Yet Munch is not a nihilistic or flamboyantly destructive painter, despite the pervasive melancholy and despair associated with his art. Almost never in Munch’s work does the viewer experience a feeling of repulsion or that unproductive unsettling sensation that the artist has overstepped his mandate and become rhetorically hysterical or is caught helplessly in the nets of a consciously reconstituted subjectivity. Above all Munch is an exemplary and steadfast solitary, who, though able to maintain some relationships and engage socially, to brush up against conventionality, was ultimately subordinate to an artistic calling, which for him at least was all pervading, demanded absolute submission and eventually broke him mentally. Although Munch is no stranger to the UK in recent years, as The Royal Academy in London also held an exhibition, Munch by Himself in 2005, there is always the feeling that this supreme outsider is somewhat out of kilter, a living memorial to genius before which people instinctively lay their tokens and wreathes of respect and awe without really knowing why. For what must avowedly self-possessed rational beings make of Munch’s evident fixation on death, madness and suicide? In the UK today Munch is still the artist known by most as author of the melting ghoul figure of the notorious Scream, and little else. When contemporary artist and arch publicity adherent, Tracy Emin, went to Oslo to profess her adoration for and personal affiliation to Munch and let go a piercing scream outside the gallery, it was not only a cliché to crown all others but confirmed the popular response to Munch as unwitting talisman of a general public angst which everyone could buy into. The one-image-fits-all, mass-appropriated Scream of today corrupts the very authenticity of the impulse from which it was originally born. Repeated as a familial image on the retinas of millions as an angst cartoon, just one more communal tattoo in an age of cultural dislocation, its only mandate is mutual recognition by those who have joined, and by no fault of its own naturally exudes a weaker and weaker disclosing of its quite separate and necessarily restricted essence. In this respect Munch, or at least Munch’s most famous painting which he signed on the back ‘Could only have been painted by a madman’, has become a brand like everything else. Thankfully, however, the maverick filmmaker Peter Watkins’s treatment of Munch in his film biopic of 1974 serves as a counterbalance. This necromantic film with its period costume drama trappings fused with a hallucinatory atmosphere of debilitated reverie, oleaginous Karl Johan promenades and Nordic interiors bleached by sorrow, was a hard to find VHS oddity a decade ago, but has now blossomed into an impressive DVD package with sumptuous accompanying booklet. Watkins attempts to expose cinematographically a crucial period of Munch’s life, from youth to his establishment as an artist, using as his lead an amateur without experience who bore an uncanny resemblance to the artist when young. Watkins, as is often his wont, employs voiceover narration and gives a plausible account of Munch’s restless journeying, his darkly strewn love entanglements and ensuing vacillations, his gathering breakdown and death chamber vigils, the latter enhanced by his immersion from an early age in cyclical family bereavement amid the dreaded human furniture of the sick room. The film allows a dream-like gauze to settle over the mind of the viewer, an aura which Watkins went on to develop in his later study, The Freethinker (1994), a brilliant but little-known four-and-a-half hour biopic of Strindberg. Watkins had only stumbled on Munch when he was visiting Oslo on other business. On entering the Munch museum by chance, he was completely overwhelmed, infected by what he found there. He realised he had stumbled on a genuinely fraternal figure who had fully articulated equitable existential concerns in the most emphatic and far-reaching manner possible. Watkins was irreversibly smitten and felt compelled to respond. It is this hallmark, ‘infection’, which is the effect of Munch’s work on the peculiarly sensitive viewer, perhaps more than any other artist of the modern era, save Van Gogh. For Munch is recognised as the one who stands apart, the one who calls gravely and urgently across the room, in whichever gallery or museum we happen to be. Most art museums across Europe and beyond contain one or several canvases or prints by Munch, as they will by all artists of a certain rank. Why is it, though, that Munch has the power to draw the visitor from his carefully staked-out visual itinerary, once again to enthrall and unsettle him, to destabilise and worry the onlooker in a way few others can? Even a secondary painting by Munch may halt us in our tracks, for we recognise the familiar traits of the artist at once, his trademark dizzying perspective and featureless figures in groups, his entrails of flaming hair trussing the dark forms of mannequin-like masculine figures with black bauble eyes, abandoned on eerie boulder-strewn shores. Always the same judiciously applied but never overwrought or impetuous intensity is detected there, the same determination to flush out truths on the template of a landscape or scene, to constantly unveil the sculpture of expressivity before assembled reality. The work of Munch, although of a distinct time, is not so much ahead of it, but able to exist fully in spite of it, almost without it. Munch’s art always appears to offer more credentials for permanence than the more physical reality from which it sprung, as if it had just been painted and was painted again and again for each new pair of eyes that fall upon it. The work does not date or appear forced, nor does it respond overtly to its time, unlike much of the art from the more recent past. It seems unable to bear anything peripheral or superfluous to it, any debris or algae that the years may have left disparagingly on a lesser artist’s works. This is why it shines with an intent which is always pure and lucid, like fresh barbed wire rolled out on a barricade in the sun. Now Munch has arrived at Tate Modern on London’s Southbank, albeit by way of Paris and Frankfurt. For this exhibition, The Modern Eye, is on the final leg of its three-city tour. Like many exhibitions today of a famous figure, this one follows the well-worn route of offering a fresh perspective on an artist people thought they already knew well enough. However, the curators here decided to show Munch’s development from a painter in the symbolist era of the late nineteenth century to that of the more Expressionist leaning period of the early twentieth. They have achieved this by showing a number of celebrated paintings in their first incarnation during the 1880s and 1890s opposite their later versions two decades or more on. These are placed on two sides of the long room near the start of the exhibition, so the impact is immediate. The crowning work here is the aforementioned The Sick Child, first rendered as early as 1885-86, to which Munch, as with a number of his most cherished creations, always returned, compelled to search again for another route into the most plausible truthfulness of the vision. The earlier version, like the other paintings on display here, is darker in tone and more muted, more reserved in its painting technique, as one might expect. The later effort is looser, the lines broader, the forms more radically coloured and bolder in expressive intensity. The key for the viewer standing between them is to place oneself equidistant from the two epochs and simply turn from one to the other, allowing the development to impact and to marvel at the mastery of both styles in their ability to safeguard the seriousness and existential signification embedded in the scene. In the haunting pine forest backed painting Ashes, dating from 1895, red and black are the dominant colours. These are accentuated thirty years later in the 1925 version, so that the head wound on the stricken man appears more prominent, a definite wound which he is either feeling for with his hand or covering in an attempt to prevent further blows. The woman figure’s features and eyes are more expressive in the later version, but her red hair seems to be separated from the blood lava layering the woods behind her. In the earlier version the hair is much more clearly merging into this. In the 1925 version everything seems sharper, more pronounced, almost as if the original had undergone a slightly overexcited restoration. Although the tense forbidding atmosphere is ratcheted up in the later canvas with keener contours and more explicit colouring, it is the earlier version which seems to have retained a more subtle air of suggestion and in this sense a stronger case for poetic utterance through paint. In the next room one is immediately drawn to a painting from 1902, known as On the Operating Table. The general layout of the scene seems perhaps to have been influenced by The Anatomy Lesson by Rembrandt, painted in 1632. It also uncannily recalls the scene in a short poetic prose piece entitled ‘The Autopsy’, written by the German Expressionist poet, Georg Heym, a decade later. A clutch of faceless doctors are gathered by the prostrate naked body of the artist, discussing the prognosis. The robust seeming yet helpless body sports a clenched left fist almost frozen in rictus. The bloodstain on the sheet is in the shape of a heart and a nurse approaches bearing a blood-filled bowl before her. In the background, clone spectators also lacking faces look on silently and obediently from the public gallery, observing the show through windows. Has Munch here prophesied the modern execution chamber? In the same room is the superb and ingenious painting, Galloping Horse, from 1919-12. Here Munch pushes his extreme perspective technique to the limit. Influenced by early cinema footage of a runaway horse appearing to gallop through the very screen towards the viewer, Munch, in a masterclass to forthcoming Expressionists, uses this device to create the illusion of the horse leaving the very frame of the painting and colliding with the viewer. The charging horse in an oval shape at centre seems literally to explode from the surface of the canvas, as if from an encasement of snow and ice. The driver on the sled behind just manages to stay upright and two figures to the right are as if blown backwards by the blast of the sudden unexpected release of the powerful form. On the left, adult figures look on rooted, expressionless, impotent, superfluous. Only the wild and unrestrained features of the horse are brought to the fore. Blocks of colours, piled up in rude juxtaposition, exacerbate the sense of something immeasurable happening. Here the horse represents all that is uncontrollable and ultimately beyond human reason. 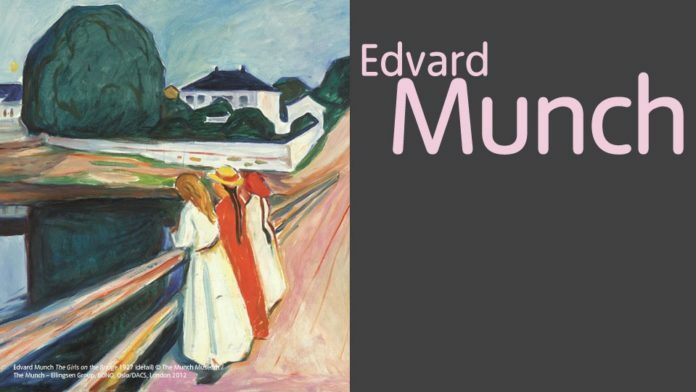 Murder in the Road from 1919, Landscape and Dead Bodies of 1912 and The Murderess from 1907 show Munch’s obsessive preoccupation with death. More than that, a death that is more than likely unjust, brutal and unexplained. The first shows the scene of a murder on a country road with a dead body lying between a rural avenue of trees, with the outskirts of a village or town evident in the distance. It is a distinctly unsettling and curious work the longer one chooses to observe it. Using perspective as ever to heighten tension, Munch seeds the unnerving atmosphere immediately after the murderous act. The pathetic body is merely a dark shadow lying horizontally across the road; it has ceased to exist as a person. The victim lies across the muddy ruts as if run over, but a guilty face rapidly drawn, almost a cartoon face, looms large at the base of the painting, just about to exit the frame. Have we seen the murderer just before he flees the crime? The painting seems to have been executed at speed and at first glance seems rudimentary, but it is the precise positioning of the figures and the implicit loneliness which the scene arouses that leaves such a frisson of anxiety. Similarly, in Landscape and Dead Bodies, a very sparely drawn and rarely seen watercolour and charcoal, two bodies freshly slain lie crumpled in the foreground of a lonely pine forest. No one else appears to be present but the atmosphere is heavy with silence – that oppressive silence which habitually encases atrocity. The medium of watercolour and the sparseness of the charcoal outlines of the bodies, making them almost like those traditionally made at a crime scene, heighten the effect. The scene seems nothing less than a prophetic fast forward to those mass executions of innocents which would happen in the forests of Eastern Europe forty years later. In the next room two paintings exhibit the same horror-tinged suffocating atmosphere, made more so since they happen to occur in the same claustrophobic room with its sickly oppressive decor. The Murderess and Jealousy were both painted in 1907. In the former Munch again manages to freeze the moment just after the crime has been committed, leaving the assailant trapped with the implications of her deed. The woman stands rooted in shock at her violent action, forced by her fear to the far corner, in the incommodious narrowing of the perspective. From there she stares out at the lifeless bloodied corpse on the divan, of which we see only a portion. Something has happened here, Munch seems to say, that no one foresaw and no one understands, least of all the murderess. One of the highlights of this exhibition are the series of amateur photographs Munch took to record his paintings in storage or at exhibitions and with often himself posed amongst them. Many of these are repetitive, as if Munch was keen on holding the camera up at arm’s length to snap himself frame by frame, a sort of rolling self-portrait. But even in those images which appear to show nothing of particular interest, such as the bare yard behind a house or the walls of an atelier, there is a presence resonating all the same. This muted sepia-tenderised ‘atmosphere’ is more pronounced it seems in the photographs than the brief, ten-minute film Munch took with his Pathé-Baby movie camera, purchased in France in 1927. Experimenting with his new toy, Munch takes it onto the streets of Oslo and points at whatever takes his fancy in the daily hustle and bustle. Even his pet dog gets in on the act.